Stripping the land bare - conservation and restoration of William Smith's 1815 Geological map of England and Wales. The way that some of Earth’s earliest large multi-celled organisms reproduced is turning out to be surprisingly complex according to new research. The Sedgwick Museum recently acquired an exciting new specimen of Jurassic fish Leedichthys problematicum, the biggest bony fish that ever lived! The first 500 million year old grappling hooks in the evolutionary arms race. A weird group of ancient but surviving carnivorous worms, known as priapulids, which live in burrows on the seabed, evolved a remarkable method of capturing their prey – they can turn their hook-lined throat region inside out through the mouth to form a very effective grappling iron for capturing their prey. 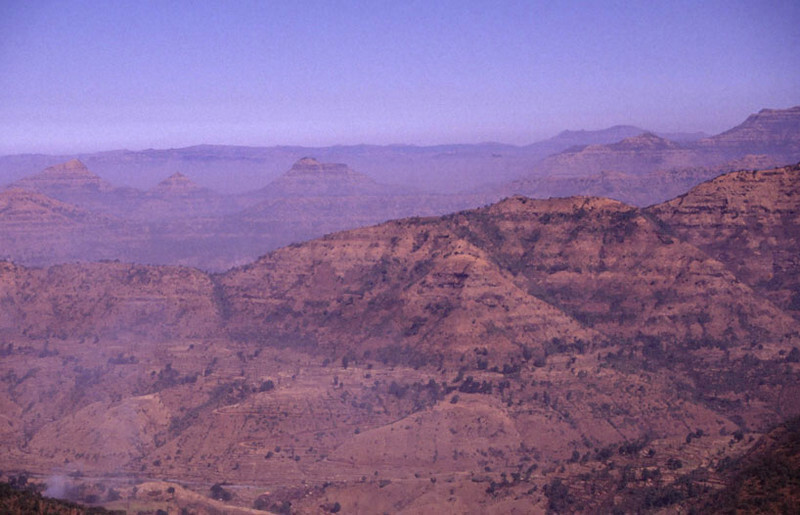 What the Deccan did for the Dinosaurs? The possibility that the extinction of the dinosaurs 66 million years ago may have been caused by the eruption of the Deccan lavas in India has been increased by new research, published in the Geological Society of America Bulletin (doi:10.1130/B31167.1). Last weekend the Museum was turned pink and played host to the launch of Pink Week 2015. Pink Week is a week of events aimed at raising funds and awareness for breast cancer charities. Inspired by the activism of the late Dina Rabinovitch, Pink Week ran for the first time in Haberdashers’ Aske’s school in 2011. Since then, Pink Week has gone from strength to strength, launching at Clare College, Cambridge in 2014. An international team of researchers, including members from the Department of Earth Sciences here in Cambridge, have used an X-ray microscope to investigate meteorite samples from the Sedgwick Museum to learn about the earliest stages of the evolution of the solar system. Six months after she trundled through Cambridge following a late night at her Namesake College’s May Ball, Clare the Tyrannosaurus rex has finally moved to her new home. The half-size metal sculpture is now a permanent feature outside the entrance to the Sedgwick Museum of Earth Sciences.